It's been a big year for the Ovechkin family. Months after leading the Capitals' effort to win the Stanley Cup, Alexander Ovechkin and his wife Anastasia Shubskaya welcomed a baby boy. The proud dad made the announcement Saturday with an Instagram post showing the baby's foot. In a Russian-language caption filled with heart emojis, he thanked his wife and listed Saturday's date. 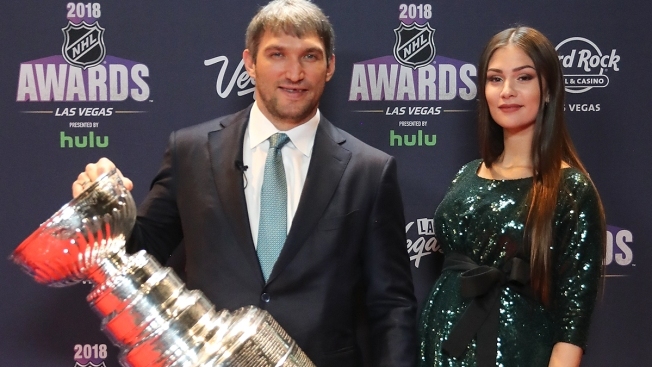 The Washington Capitals congratulated the new parents on Twitter and announced the baby's name is Sergei Aleksandrovich Ovechkin. Sergei is the couple's first child.